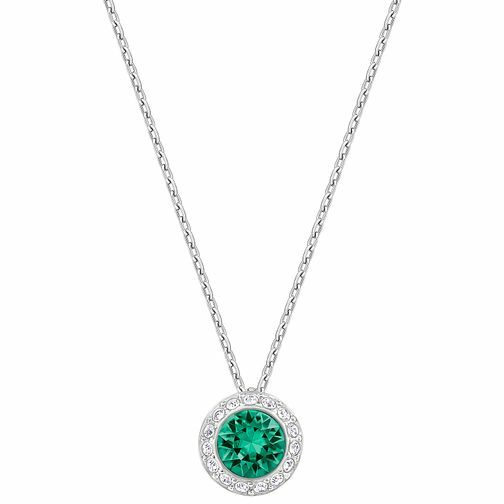 This Swarovski Pendant features a stunning green crystal with a clear crystal halo. Perfect for adding a touch of sparkle to any outfit. Swarovski Angelic Crystal Necklace is rated 5.0 out of 5 by 1. Rated 5 out of 5 by Anonymous from Beautiful necklace! I can't fault this item at all - bought for a friend's 23rd birthday and she wears it all the time now. Definitely recommend!